I’m back. Are you pleased to see me? Of course you are. Stupid question. Anyhow, #FoodyFriday has now been usurped by Dinner a Deux, because that’s what it essentially is. There are now only two of us at home (note the bunting adorning the front of Rubbish Manor) as everyone has returned to their other lives in University or – as is the case for four of our offspring – work. So it is just AlphaMale and I at home. And jolly nice it is too (Sorry kids, love you lots). I’m hoping you might use this feature for doing your own Dinner a Deux at home, when your partner/spouse/ flatmate or whoever has earned a treat. At least one part of the menu will always be a freeze ahead affair, thus cutting down on your actual preparation time on the day. Have a look, see what you think. Better still, let me know what you think, I’d love to hear from you. 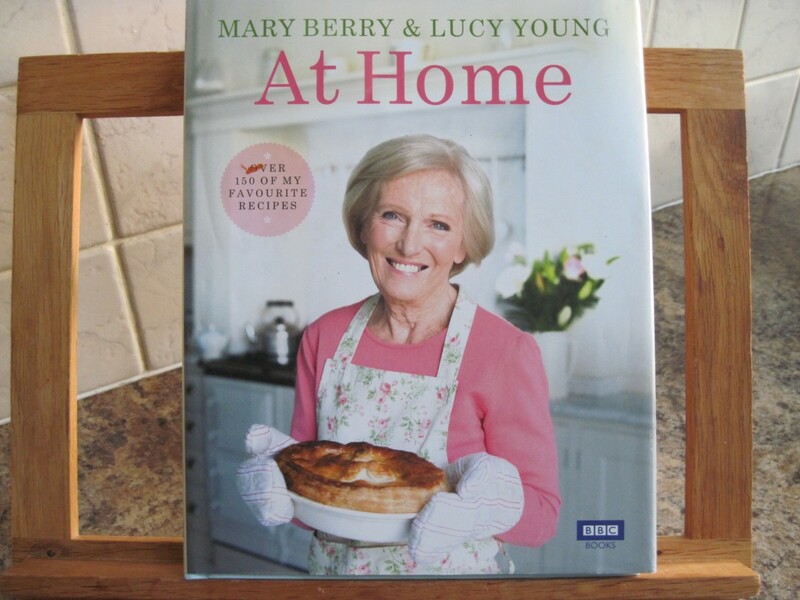 As is fitting for a man who loves his food and a woman who loves to cook, I was duly presented with Mary Berry’s At Home cookery book for our wedding anniversary in August. Most women would probably chuck it back in their husband’s face, but not me. No siree. A new cookery book is always welcome. Unless it’s Nigella, who I find disappointingly cheaty in her recipes. Before handing me the gift, it would seem AlphaMale had rifled through the pages and picked out a few recipes he’d quite like to try – the most enticing one being Mary’s Crisp Duck Breast with Ginger Sauce. So here it is for you all to share. (These can be made ahead and frozen. Defrost fully before warming through in a moderate oven). Rub the butter into the flour and stir in the Parmesan, then add just enough water (approx 3 tbspn) to make a fairly firm, but soft, dough. Wrap in cling film and chill for 30 minutes, then roll out and cut out rounds to fit your tins. Mine are mini loose bottomed flan tins but you can use what ever you have. This is also enough pastry to make one large tart. Line the dough with baking parchment and fill each with baking beans. Bake blind at 180c, Gas 4 for 15-20 minutes until crisp and golden. At this stage, the pastry cases can be cooled and frozen empty, or frozen later with the cooked filling. Preheat the oven to fan 160c/ 180c/ gas 4. 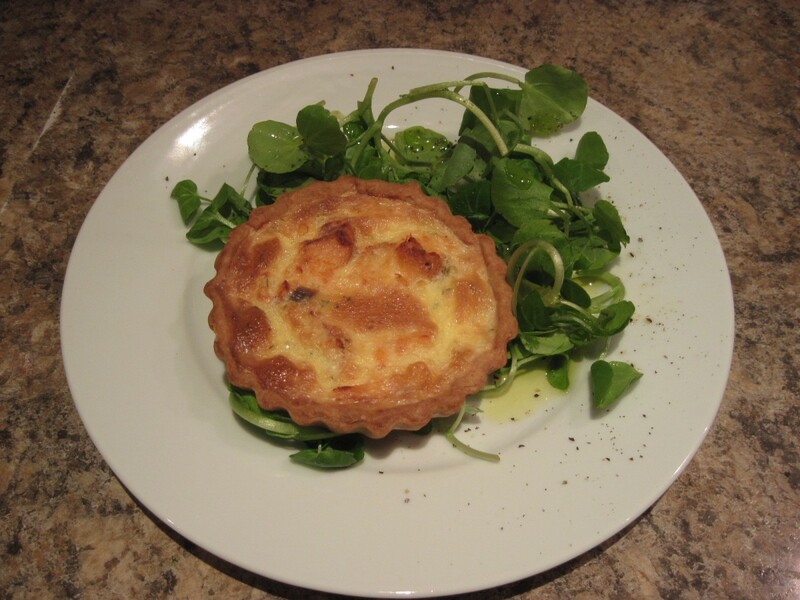 Break the salmon into small pieces and divide between the tart cases. Place the tart cases onto a baking tray. Whisk together the remaining ingredients, transfer to a jug and pour into the tart cases. To prevent spillage, fill half way then place the baking tray onto an oven shelf. Carefully pour the remaining filling into the cases until they are brimming. Bake for approximately 15 minutes until the filling has only just set and the top is pale golden. Do not overcook or the filling will lose its fluffy consistency. Serve warm with lightly dressed salad leaves. A show-stopper if ever there was one. And beautifully simple to make. And it takes 15 minutes cooking time. 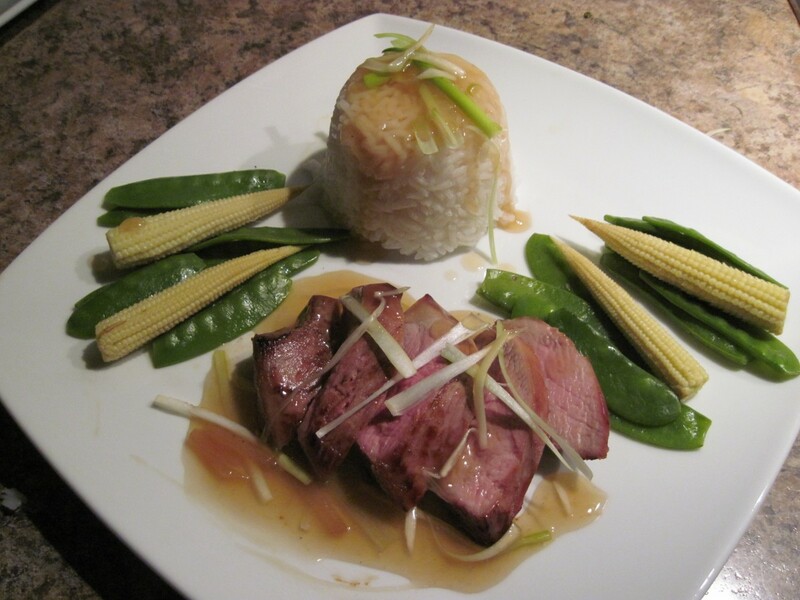 Fragrant Jasmine rice is available in good supermarkets – in this instance I used Tilda. 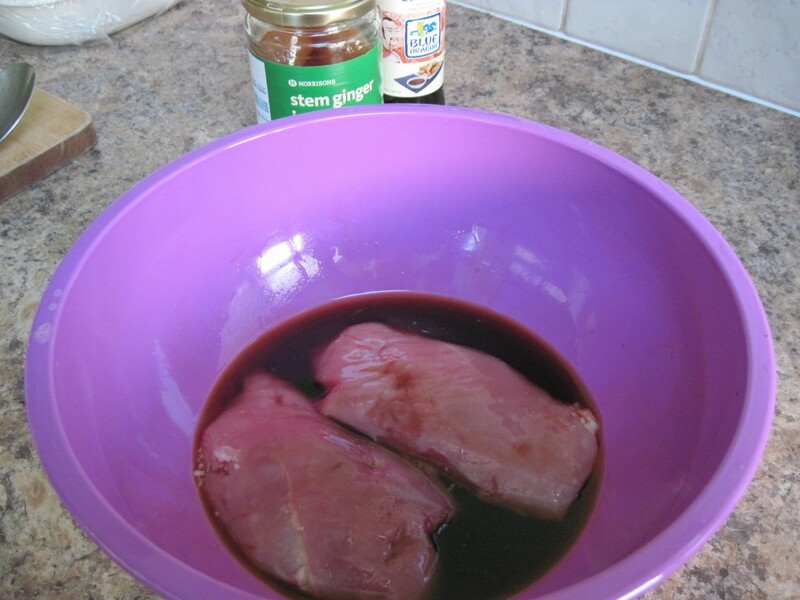 Mix the ginger syrup and the soy sauce together and pour over the duck breasts. Cover and leave to marinate in the fridge for at least an hour. When ready to cook, melt the butter in a hot frying pan. Season the duck breasts and brown for precisely one minute each side until just sealed. Transfer to a hot baking sheet and roast for 8 minutes. Remove, cover loosely with foil and rest for at least 5 minutes. When the duck goes into the oven, cook the rice according to the packet, for 10 minutes. And pop the vegetables into a steamer for the required cooking time. Bring the stock to the boil in a small saucepan. 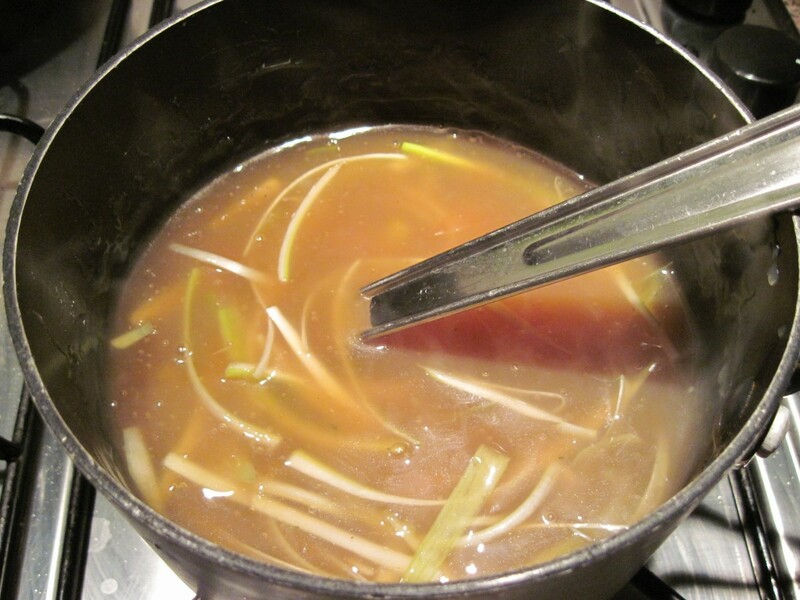 Mix the sherry and cornflour into a paste and add to the stock along with the marinade. Stir until boiling and thickened. 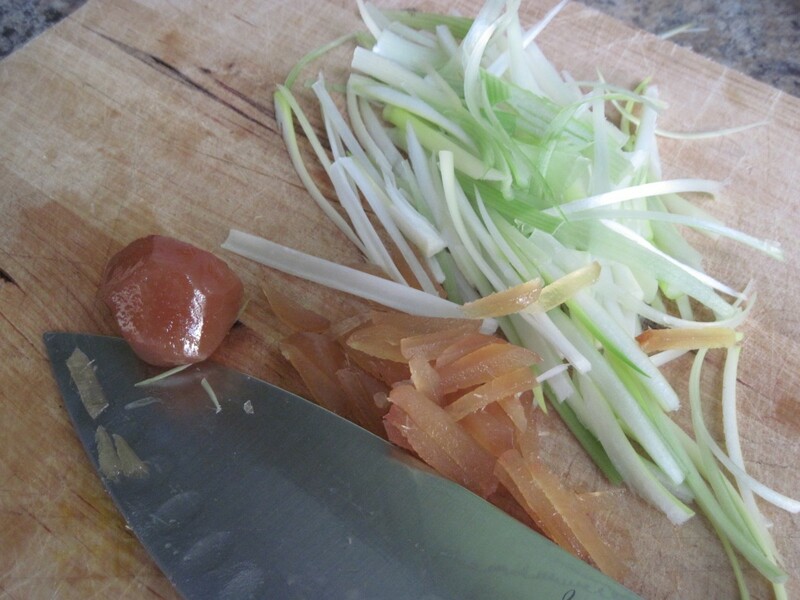 Add the ginger and 3/4 of the spring onions. Taste and adjust the seasoning. Lightly oil two mini pudding tins or dariole moulds with sesame oil, and pack each with rice. Invert onto plates. Slice the duck diagonally and arrange on the plates. Arrange the vegetables around the meat. Sprinkle the remaining spring onions over the rice, and pour a little sauce over the duck. Serve the rest of the sauce in a sauce boat. Quite simply the most simple, delicious dessert in the world. 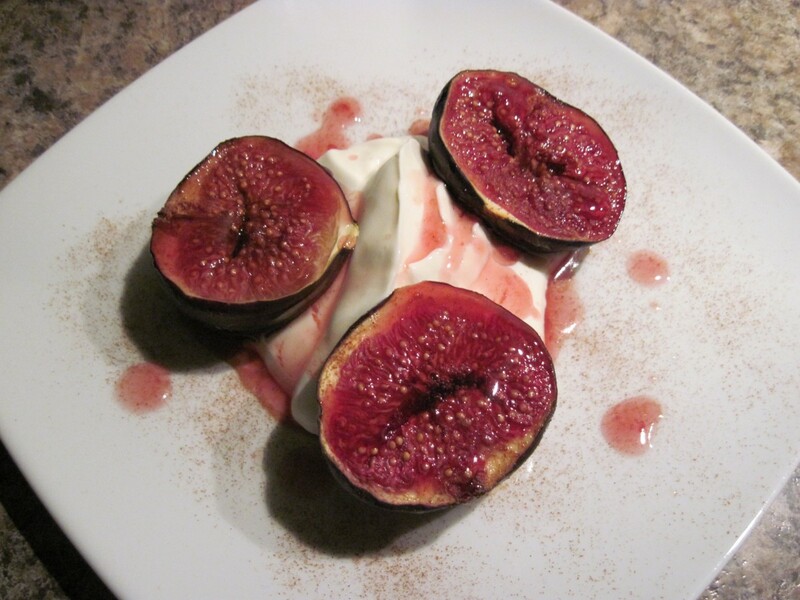 Figs are in season at the moment and are as cheap as chips. Simply remove any stalk from two to three ripe figs, and cut in half. Place the halved fruit carefully in an oven-proof dish, ensuring they remain cut side uppermost – pack them in as tightly as possible. Drizzle with honey (a good teaspoon per half fig), and add a good sprinkle of cinnamon – I used about half a teaspoon. Bake at 180c for 15-20 minutes, depending on the size of the figs. Serve with creme fraiche with the sauce drizzled over. Delicious.